Internet surfers in a small Ohio city have had their municipal Wi-Fi switched off after Sony Pictures complained about it being used for just one illegal movie download. Residents of Coshocton in the northeastern US state had been using the free civic wireless net for five years without problem until a letter arrived at the ISP managing the service. In it, the Motion Picture Association of America (MPAA) claimed it had traced an illegal P2P download of a Sony film to the single IP address all users of the network share. Consequently, the county IT department switched the Wi-Fi off, leading Coshocton commissioner Gary Fisher to say: "It's unfortunate that one person ruins it for those who use the service legitimately." 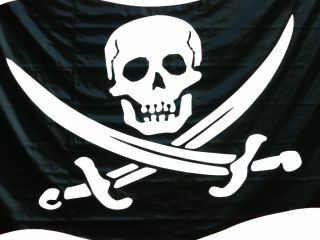 An MPAA spokesperson explained the action: "We target piracy at its source. We really focus on keeping the product out of the market in the first place." Coshocton is now investigating the network's user logs to see who nabbed the Sony flick, which could result in the offender facing a $150,000 (£90,000) fine.